Prince Harry and Meghan Markle made a surprise visit to the One25, a charity that helps the homeless S*x workers struggling with addiction build new lives in Bristol. While there, Meghan Markle helped pack care packages with warm clothing, hot water bottles, condoms, and lunches for women living on the streets. 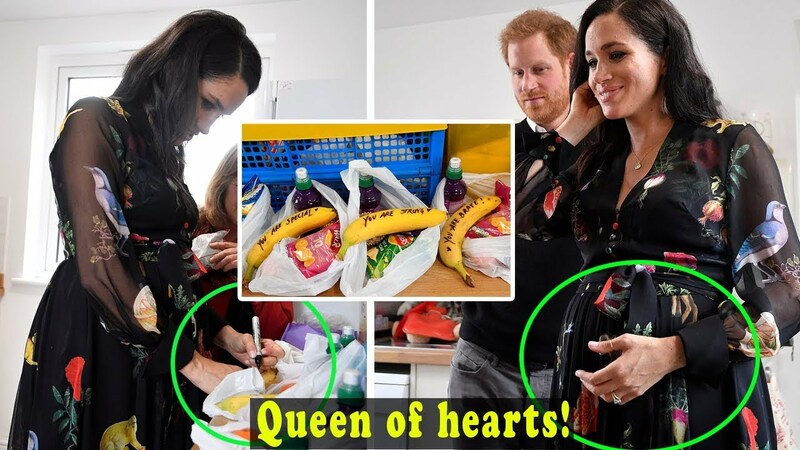 Meghan Markle also added a special touch: banana messages. So, Markle Markle got right to work, and wrote phrases on the bananas that were going into the care packages, like, “You are strong,” “You are loved,” “You are brave,” and “You are special.” “I’m in charge of the banana messaging,” Meghan Markle said in the video tweeted by Kensington Palace. That’s it for this week! We agree, there were a lot of videos going viral on social media, but the above ones have been loved the most by the netizens. To end, we hope that weather in the United States stop being too harsh on residents and let them begin their daily chores and also anticipate that the s*x workers in Bristol have got Markle Markle’s messages right.